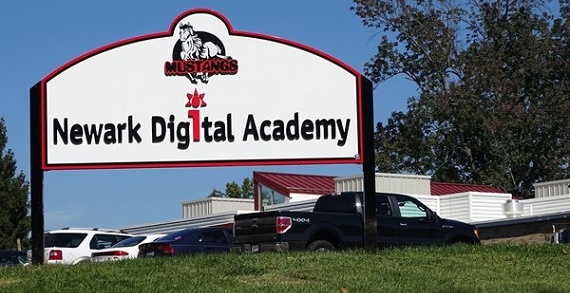 The Newark Digital Academy (NDA) opened on August 25, 2003 and is designed for students who have a desire for an online education program where instruction is delivered in an independent environment. NDA is a public school regulated by the Ohio Department of Education. NDA teachers are HQT and licensed in the area/s they teach. The NDA curriculum is aligned with Ohio’s New Learning Content Standards. NDA students are required to take state mandated achievement and graduation tests. NDA is registered with the state of Ohio as a Conversion Community School, e- School and are by definition a “work at home” program.